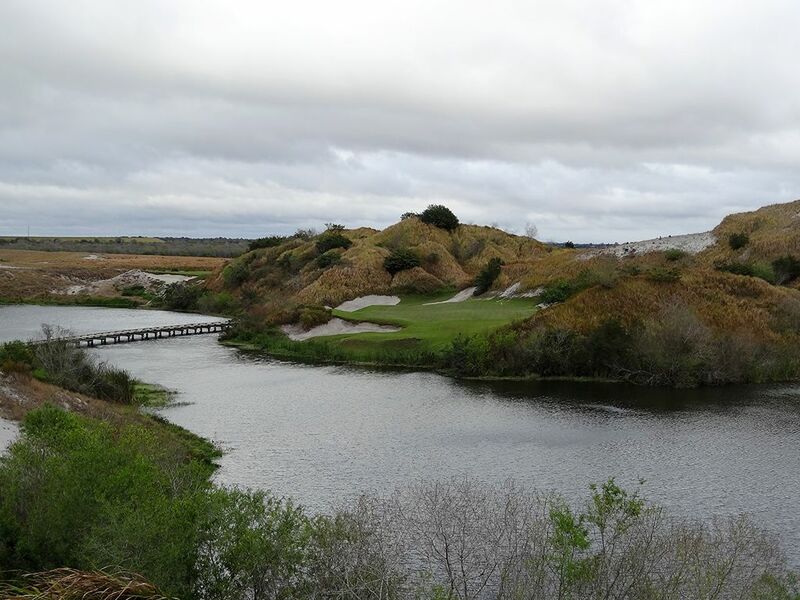 Course Website: Official Website - Visit Streamsong Resort (Blue)'s official website by clicking on the link provided. Accolades: Ranked 4th in Florida on Golf Course Gurus' Best in State list. 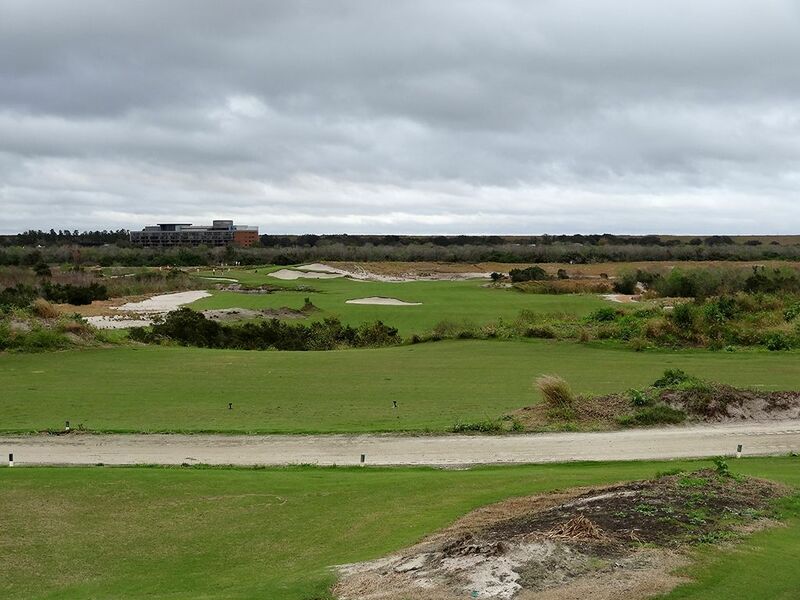 What to Expect: Opened at the end of 2012, the owners of Streamsong hired two of the hottest course designers (Coore/Crenshaw and Tom Doak) in the game to tackle this remote property located in central Florida an hour southeast of Tampa. 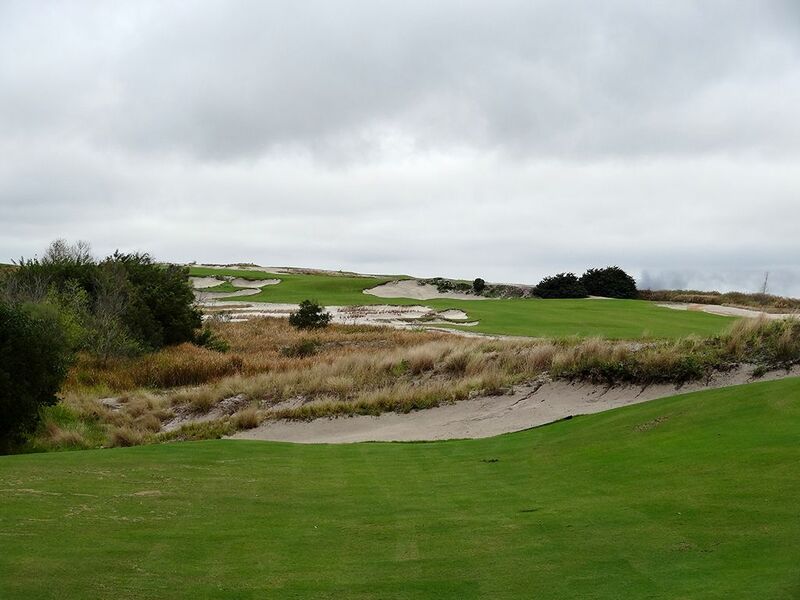 Tom Doak was given the property that became the Blue course and designed one of the most playable courses you'll ever encounter. With fairways seemingly acres wide, the Blue course offers much more forgiveness off the tee than its neighboring Red course. In classic Doak fashion, fairway bunkers are scattered in distances hole to hole so that at one hole you'll find trouble 300 yards out, the next maybe 180 yards out, and the next 250 yards out. As such, fairway bunkers only come into play on a handful of the holes if you are consistent at all with your driver distances. The view from the 1st hole and the all-world par three 7th hole are the two most impressive highlights of the course and worth the price of admission on their own. The front nine, the superior side on the Doak course, doesn't return to the clubhouse which allows for more freedom in the routing. The majority of patrons walk and are given the option of whether to utilize the services of a caddie or not. Groups that elect to take a cart are required to take a forecaddie with them for the day. 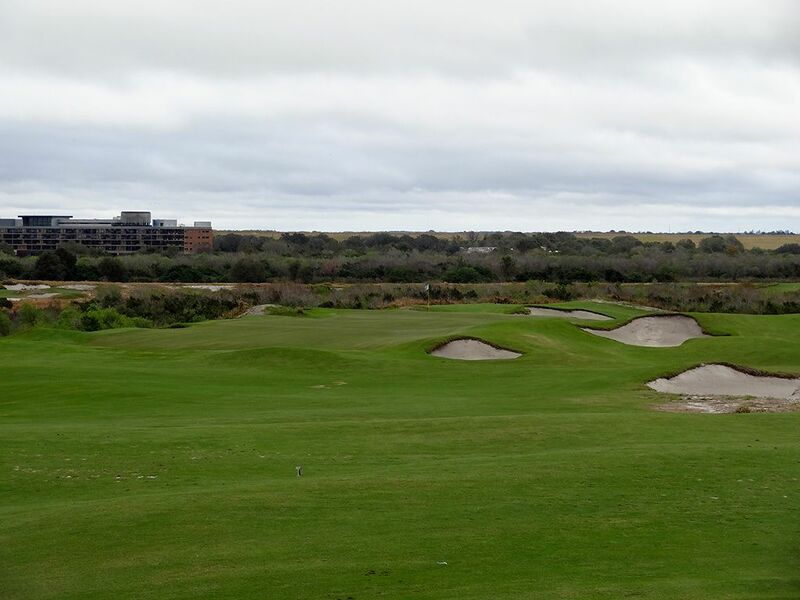 In comparison to the Red course, the Blue course is more forgiving off the tee and around the green, features larger and deeper bunkers, and hosts smaller yet more contoured greens. The Blue course is an exceptional track that will thrill Doak fans; especially those living on the east coast that can't frequent Bandon. Signature Hole: 7th Hole – 203 Yard Par 3 – Spectacular! 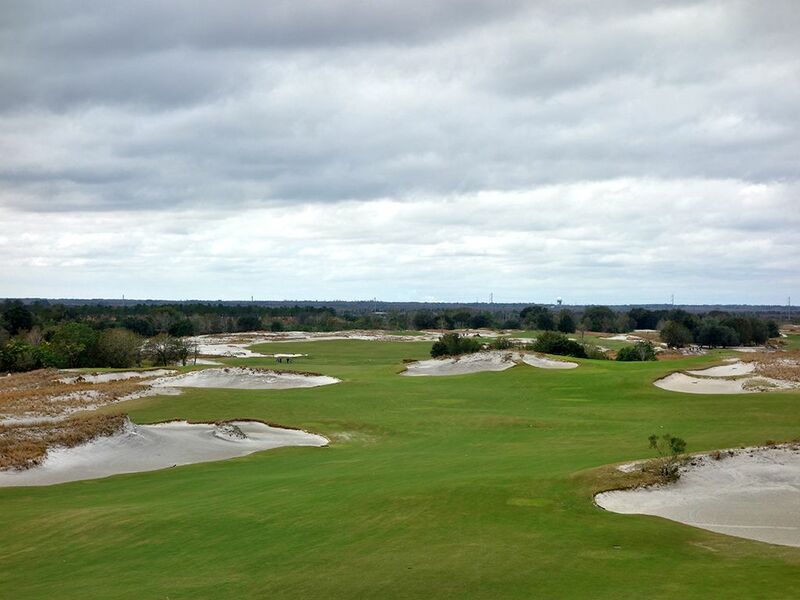 By far the most impressive hole on the Blue course and located on Streamsong's best parcel of property. The elevated tee box sits on a dune on one side of the strip mine river while the green sits inside a dune complex on the other side of the water. 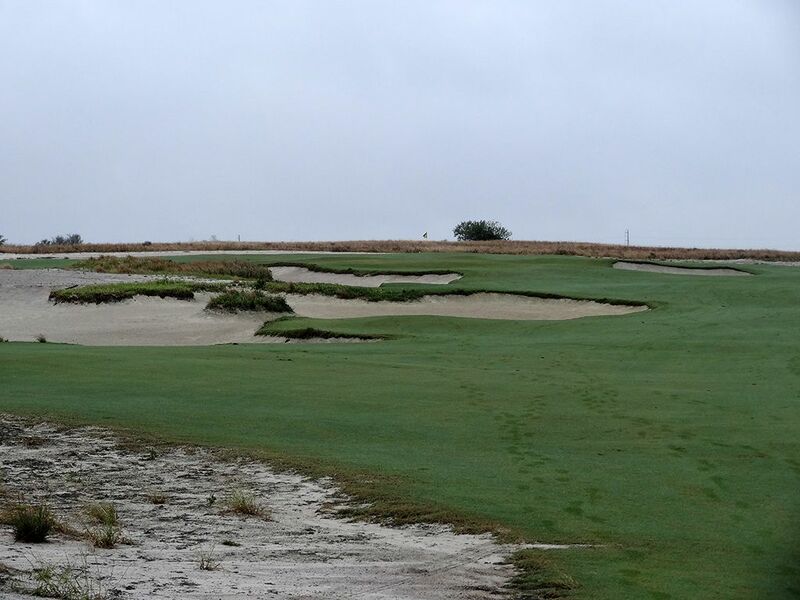 Bunkers go from the front left of the green around to the back right thus creating the safe miss right of the green where the grassy area up the neighboring sand dune will work balls onto the putting surface. 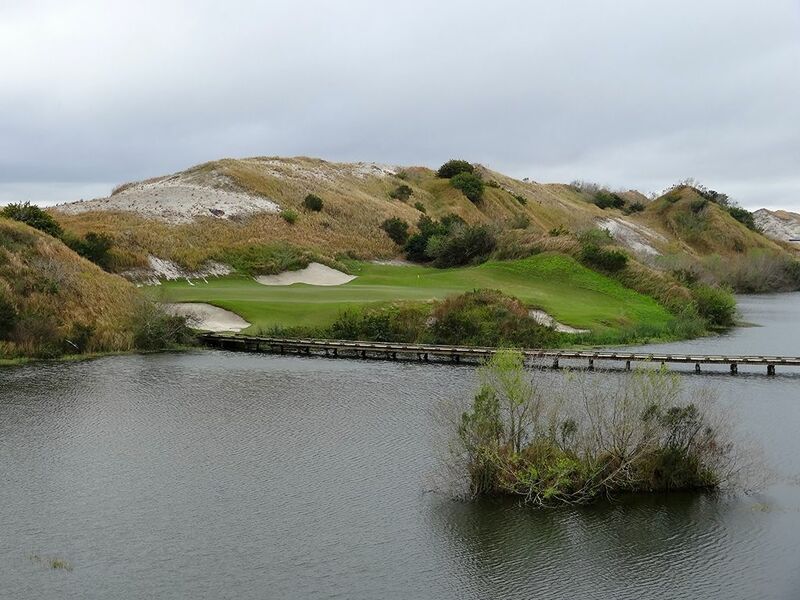 The bridge across the water adds character to the hole that is also the most photogenic at Streamsong. For most patrons, this hole represents the most memorable hole on the property. Best Par 3: 5th Hole – 157 Yards – With a green that stretches out to an amazing 75 yards long, the 5th hole at the Blue course can require a different club out of your bag every day of the week. The back of the green features an infinity edge while the sides of the green are protected by a half dozen bunkers. The skinny green narrows to nine yards through the middle of the putting surface thus narrows the margin of error for inaccuracy. 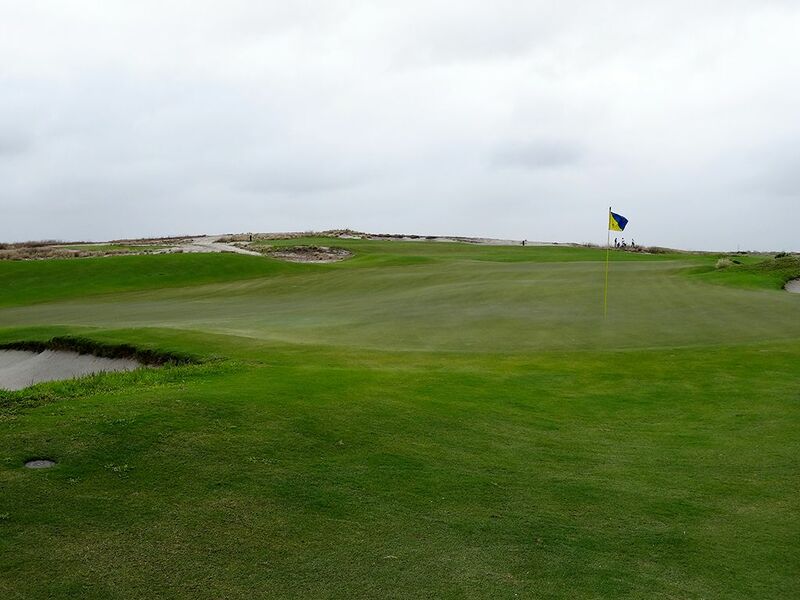 The green is long enough to allow flying the ball to the pin or hitting a low runner through the wind. While the 7th hole is much more visually impressive, the variety of pin locations on the 5th delivers more options than most one-shotters. 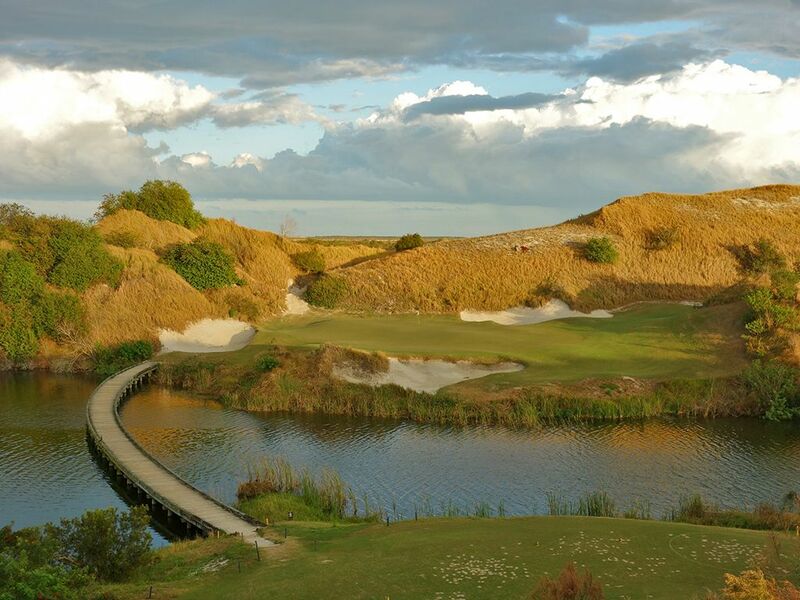 Best Par 4: 4th Hole – 442 Yards – An incredibly demanding hole that is equally dramatic. Similar to the approach shot on Pacific Dunes' 6th hole (yet much longer), the green on the 4th hole is perched high above the fairway and repels shots that come up short to the trio of extremely deep bunkers below. 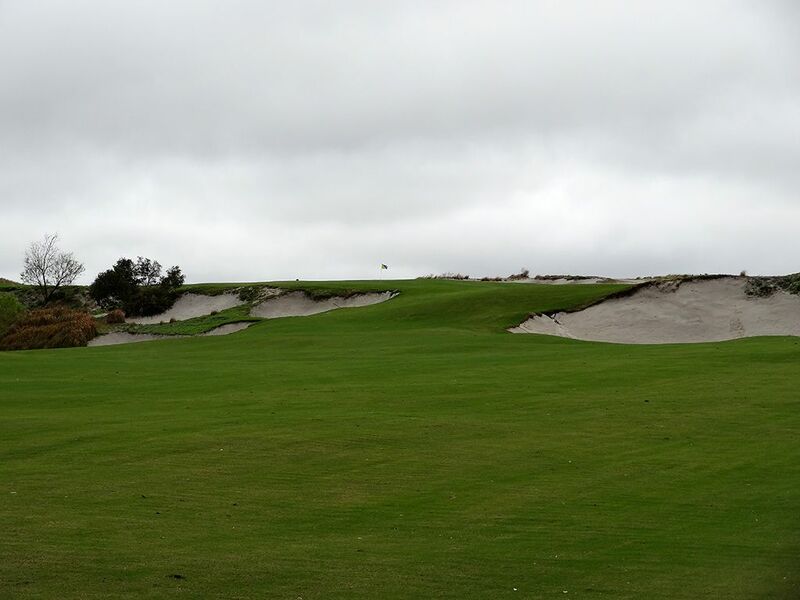 The fairway bunkering makes the drive look more intimidating from the tee then it actually is, but it is far from the most generous tee shot of the day. The impressive visuals and incredible approach shot contribute to this being one of the best holes on the property. Best Par 5: 14th Hole – 545 Yards – The longest forced carry over water on the course is presented at the tee on this uphill par five. 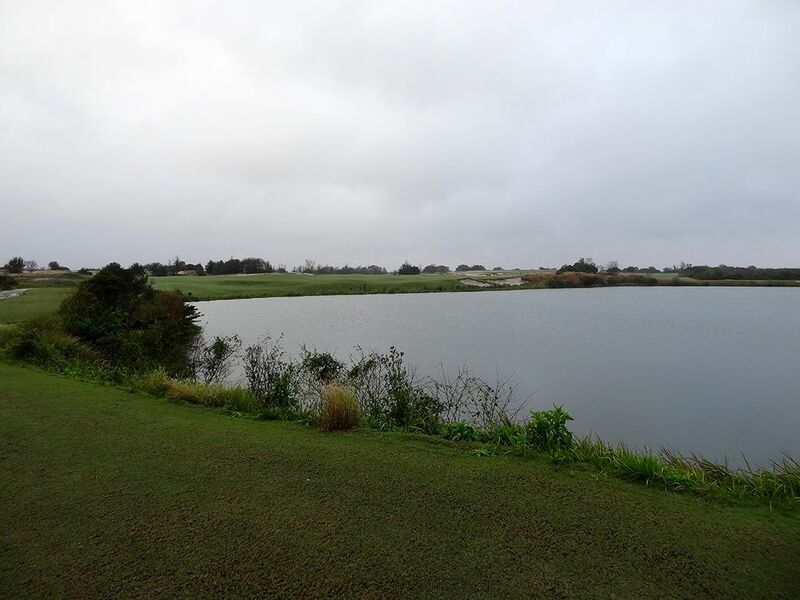 The fairway capes around the water and players must decide how much of the water to cross while also clearing the large fairway bunker on the right. Unlike most par fives, the layup zone is actually fairly difficult to hit with bunkers and waste areas encroaching from all angles. Bunkering runs up the left side from 100 yards out all the way to the green and a small bunker sits short right of the putting surface. The largest area to layup to is at the 130 yard marker, otherwise you might as well take a rip at the green in two. Birdie Time: 1st Hole – 338 Yard Par 4 – One of the most enjoyable holes at Streamsong and certainly the best views come from the Blue's opener. At a mere 338 yards, the hole is driveable from the well elevated tee. Finding the putting surface will require avoiding several bunkers along the way but is still doable. A generous landing zone is offered in the 75 - 125 yards from the green area with a great look at the elevated circular green. With little chance of losing a ball, there is little reason not to drive the ball as closely to the green as you can if you have sufficient length. Bogey Beware: 8th Hole – 454 Yard Par 4 – While the 4th hole certainly has the ability to post more "others" on the scorecard, the challenging 8th hole will ding plenty of scores. A bunker sits in the middle of the fairway landing zone requiring players to decide which side of it to hit their tee shot. Going up the left side brings a waste bunker into play with your drive and a water hazard on the approach shot. Heading out to the right lengthens the hole and requires a more demanding approach shot over the false front. There are certainly pros and cons to each route which can be compounded by the wind speed and direction.